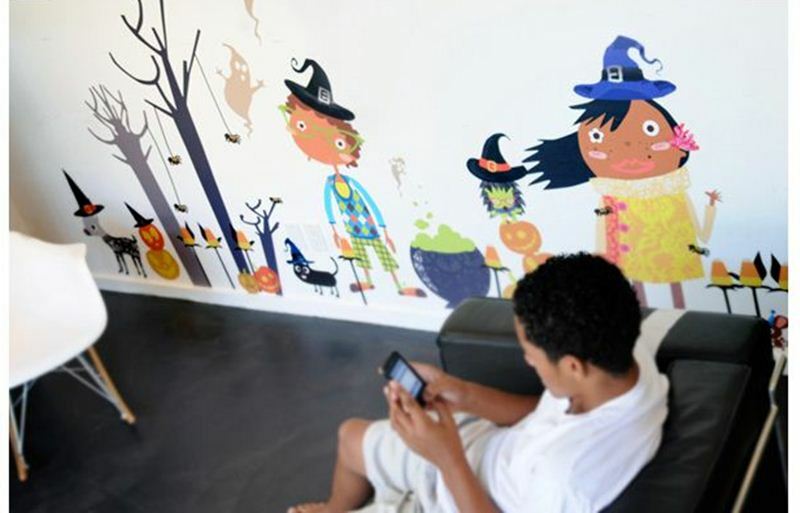 We’ve already seen how Pop & Lolli can help you deck the halls each Christmas with their lovely reusable wall decals, but now you can also get your spooky on with Pop & Lolli’s Halloween wall decals. Pop & Lolli makes chic fabric wall stickers, not from typical vinyl, but with an ultra premium, re-usable, finely woven polyester fabric. Each Pop & Lolli fabric wall sticker is made in the USA and all stickers are PVC-free, lead-free and made with Eco-Sol Max inks, which are durable and UV resistance, but free from harsh chemicals, so safe for your kiddos. 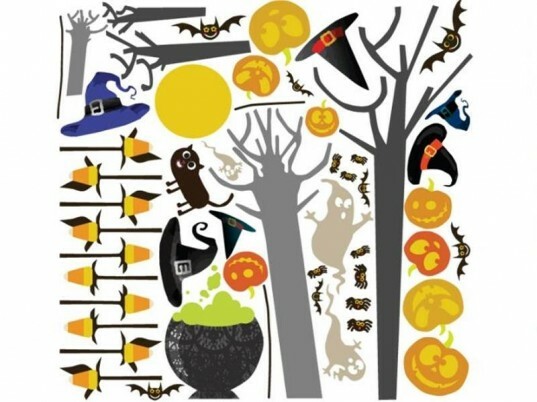 The Halloween set of wall decals is sure to add some fun to your green Halloween party or just add to your home decor for the Halloween season. Pop & Lolli decals are easy to apply and easy to pull free, store and reuse later. You can even safely rearrange your decals as needed. To keep your decals clean, simply wipe each sticker with a damp cloth. A long life span is part of the Pop & Lolli sticker deal. These decals won’t shrink, curl, peel, rip easily, stretch, wrinkle, crack, harden or leave a residue on your wall over time. The stickers are expected to last a full 7-10 years indoors and 5-7 years outdoors, provided good care and appropriate handling is used. This means you can plan for years of spooky fun to come and you’re free from spending more money each year for new Halloween decor. I love Pop & Lolli wall decals. bought several of them at http://www;couturedeco.com and they look amazing.